I am Tim Lengkeek, an experienced attorney who is passionate about helping victims of medical malpractice and other personal injuries. 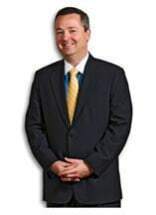 As a partner of the Young, Conway, Stargatt & Taylor, LLP, law firm in Wilmington, Delaware, I represent people who have suffered due to medical mistakes, car accidents, workplace accidents and defective products. If you have been injured in an accident caused by someone else's reckless acts or negligence, I will help you access the compensation you are entitled to under Delaware law. Insurance companies are unlikely to offer you a fair settlement personally, so it is important to talk to a lawyer before signing away your rights and leaving money on the table. In addition to representing injury victims, I also help the families of those who suffered fatal injuries pursue justice and compensation. Medical malpractice occurs far too frequently in Delaware. When you see your doctor or go to the hospital, you should be able to trust that you will receive competent care. Unfortunately, medical errors take place every day and many of these mistakes are preventable. I am committed to helping the victims of medical malpractice and their loved ones hold negligent parties accountable and seek compensation for their related medical expenses, lost income and more. When you or a loved one is suffering due to the negligent actions of another party, you do not have to face this difficult time alone. Contact me, to schedule a free legal consultation to discuss your options. I represent injury victims and their families throughout Delaware.